Stickers are all the rage now on messaging apps — and 500 Startups-backed messaging app Cubie has taken it a step further by launching custom stickers. Now you can create your own stickers and “share the funny with friends,” in the company’s own words. 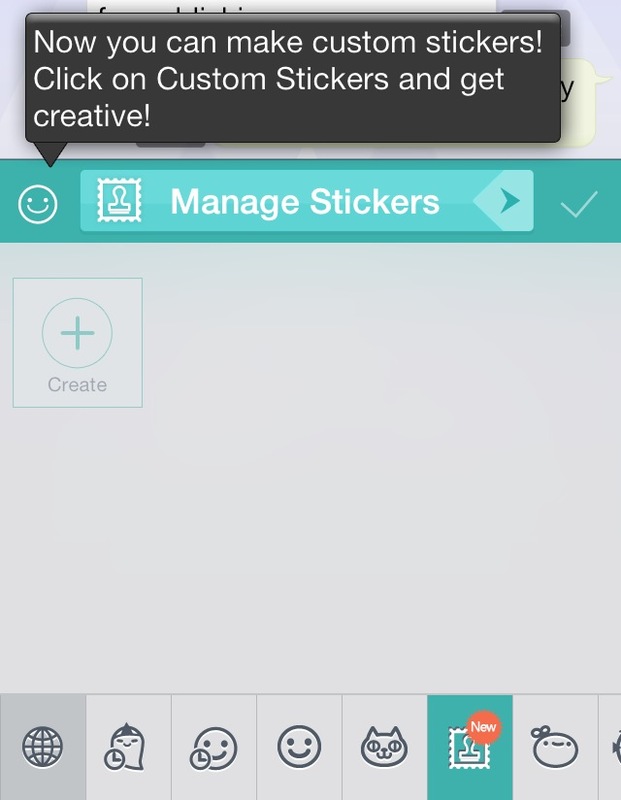 Creating a custom sticker on Cubie essentially consists of pulling a photo off your camera roll, zooming in to focus on any part of the photo, and then saving it into your sticker drawer. 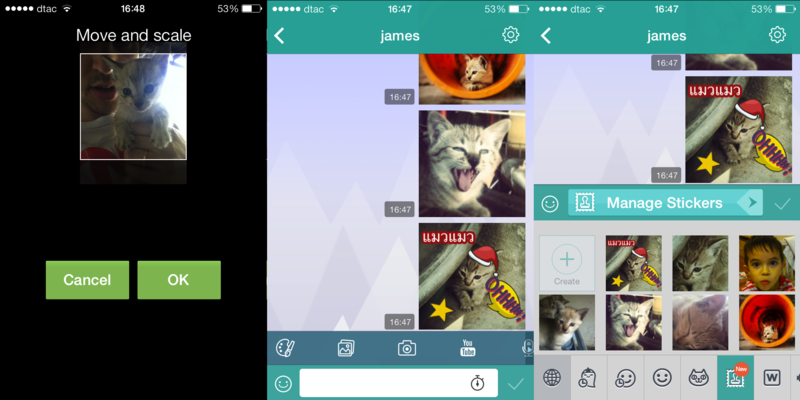 You can’t edit in-app though — you’ll need to head to a dedicated photo app such as Molome to do that. If someone else sends you a sticker, you can also collect it by pressing and holding on your friends’ sticker messages as well. Cubie’s James Hill tells us that there are plans for further customization — we’re hoping that means advanced editing and… custom GIFs!